MV Landscape is a full service family-owned and operated landscape company. We specialize in commercial and residential landscape service, commercial and residential landscape design, tree service, hardscape, sprinkler systems and more. Our clients include homeowners associations, commercial properties, apartment communities, industrial buildings, and shopping centers. We serve customers throughout Ventura County and portions of Los Angeles County. MV Landscape believes is creating long lasting low maintenance outdoor environments that are complimentary to the homes and businesses it surrounds. We do this by selecting green materials that will best suit your surroundings and needs. We carefully hand select materials that will require minimal pruning and that won't result in overgrowth. We install turf and sod, annuals, bulbs, ground covers, perennials, shrubs and trees. From the largest tree to the smallest bloom we are here to assist you in turning your landscape and outdoor living ideas into reality. The needs of your business locations are just as unique as your business. MV Landscape takes the time to discuss ideas for best improving the appearance and safety of your commercial property. 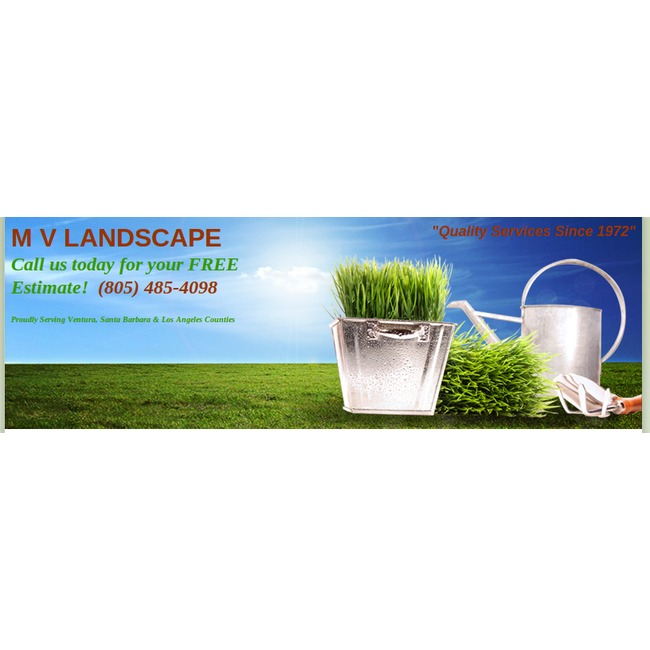 Whether it's new construction or renovating an existing property you can depend on MV Landscape to get the job done. We can also help you improve the cost management of your landscaping needs while providing a single point of contact for scheduled maintenance, project improvements and emergencies.